It doesn’t happen as often as I’d like, but sometimes my work gets published in a magazine without much effort on my part. Late last year, for instance, I received an unexpected letter and a contract from an editor at Ideals magazine, requesting my permission to reprint an Easter essay from my book, Writing Home. 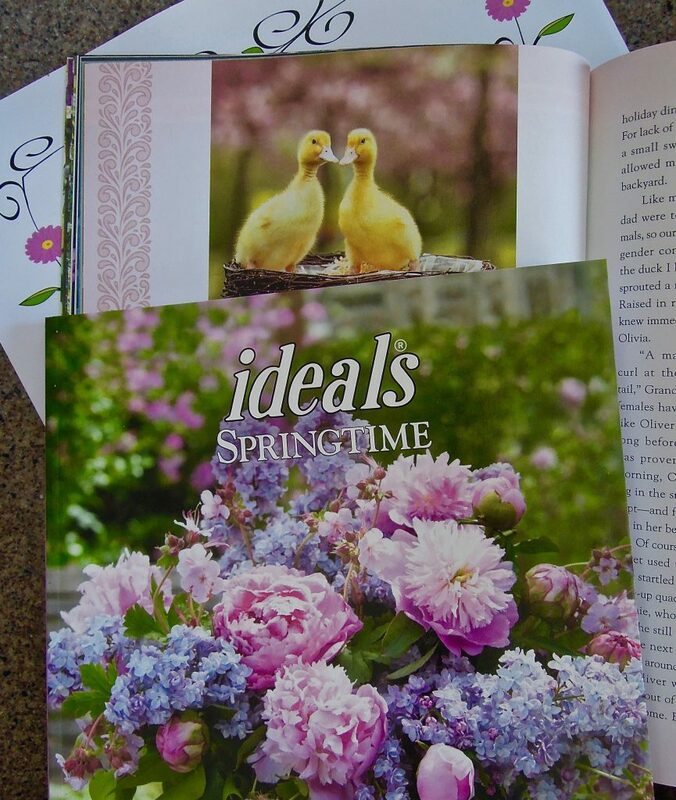 This week, I received my advance copies of Ideals Springtime 2018. My essay in this issue is about a surprise gift (a box of ducklings) that I received one Easter when I was a kid. The new issue will be available at Barnes & Noble, Books-a-Million, ChristianBooks.com, Amazon.com, and other retail stores.